Richard Childress Racing (RCR) announced plans to continue its partnership with Bass Pro Shops during the 2018 racing season. Bass Pro Shops and Cabela's will serve as a primary sponsor for the No. 31 Chevrolet Camaro in the Monster Energy NASCAR Cup Series and the No. 3 Chevrolet Camaro in the NASCAR XFINITY Series. The partnership marks the first time both iconic outdoor brands will be featured together since Bass Pro Shops and Cabela's joined forces in September 2017 to establish North America's premier outdoor and conservation company. Bass Pro Shops and Cabela's will be featured as the primary sponsors of Ryan Newman's No. 31 Chevrolet during the 60th running of the Daytona 500 on February 18, 2018, along with several other select races throughout the 2018 season. "Our relationship with Bass Pro Shops dates back to the mid-1990s and we're thrilled to be able to continue it during the 2018 season," said RCR's Chairman and CEO, Richard Childress. 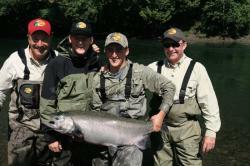 "Austin, Ty and Ryan are terrific ambassadors for the great outdoors. They are all passionate about our hunting, fishing and conservation heritage which has made this partnership thrive. Next season will be exciting as we welcome Cabela's, the iconic outdoor brand acquired by Bass Pro Shops, to the RCR family." Newman, Dillon and Dillon will serve as outdoor, hunting, fishing, conservation and sport shooting spokesmen for Bass Pro Shops and Cabela's. The partnership will include in-market activation, at-track activation, show car and digital/social media assets. The at-track activation includes a footprint at the popular Bass Pro Shops/NRA Night Race at Bristol Motor Speedway in August 2018, where Bass Pro Shops and Cabela's will also serve as primary sponsor for the No. 31 Chevrolet Camaro. 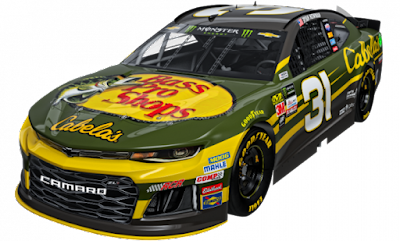 "I am very excited to continue our partnership with Richard Childress Racing and support three tremendous drivers – Ryan Newman, Austin Dillon and Ty Dillon," said noted conservationist and Bass Pro Shops founder/CEO Johnny Morris. "Like so many of our loyal customers, we cannot wait to see Bass Pro Shops and Cabela's side-by-side on the race cars and in Victory Lane. We know many of our customers, conservation partners and associates have an affinity for NASCAR which has made our partnership with RCR so successful. 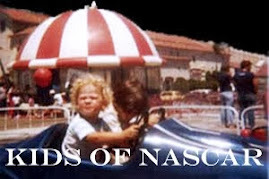 We're excited to get things started with the Daytona 500 in February." Bass Pro Shops and Cabela's will continue its on-car branding efforts with its affiliated brands such as TRACKER Boats, Ranger Boats, Big Cedar Lodge and to promote conservation partners including Ducks Unlimited and the National Wild Turkey Federation. 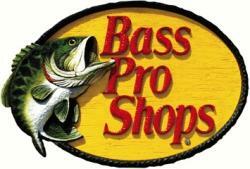 Bass Pro Shops is North America's premier outdoor and conservation company. 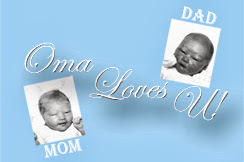 Founded in 1972 when avid young angler Johnny Morris began selling tackle out of his father's liquor store in Springfield, Missouri, today the company provides customers with unmatched offerings spanning premier destination retail, outdoor equipment manufacturing, world-class resort destinations and more. In 2017 Bass Pro Shops acquired Cabela's to create a "best-of-the-best" experience with superior products, dynamic locations and outstanding customer service. 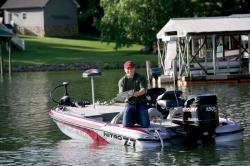 Bass Pro Shops also operates White River Marine Group, offering an unsurpassed collection of industry-leading boat brands, and Big Cedar Lodge, America's Premier Wilderness Resort. Under the visionary conservation leadership of Johnny Morris, Bass Pro Shops is a national leader in protecting habitat and introducing families to the outdoors and has been named by Forbes as "one of America's Best Employers." 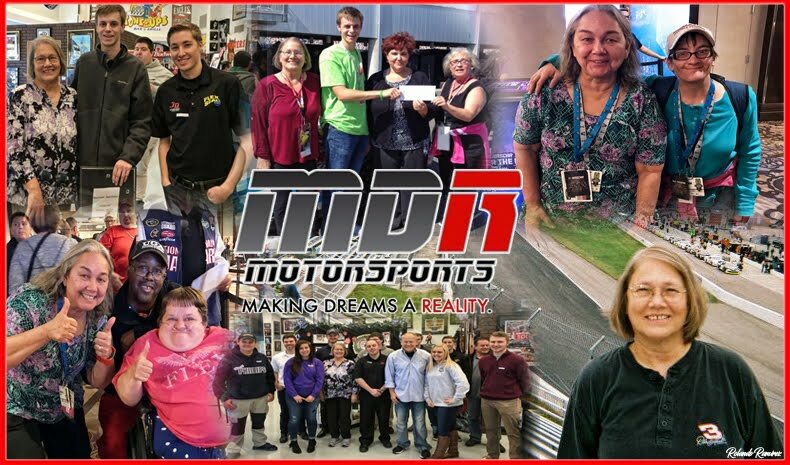 #NASCAR Driver Ryan Blaney to Guest Star on NBC's "TAKEN"